Five foodie things to do in Gainesville, Florida. From farmer’s markets to alligator tacos, these picks are the top things to do for foodie travelers in the small Central Florida city of Gainesville. Most travelers to Florida make the usual tourist stops: Orlando, Miami, and the beautiful coastal beach towns. But I’m highlighting little-traveled food-forward cities throughout the American South that you may not have thought to explore. So far we’ve explored Duluth, Marietta, and Valdosta, Georgia, on the tour, but now we’re headed south into the Florida peninsula to the city of Gainesville. Gainesville, Florida, is located in North-Central Florida in Alachua County, about one hour away from both the Atlantic and Gulf coasts. While it may be small in size, its population hovers around 330,000 and it’s home to the University of Florida. While Gainesville is a frequent pit stop for road trippers on their way south to Orlando and the beach cities, foodie-obsessed travelers shouldn’t miss all that Gainesville has to offer! Read on for five foodie things to do next time you find yourself in Gainesville, Florida. Gainesville’s prime location in the middle of the Northern Florida peninsula means the area has a rich food history. Taste the flavors of Spanish, Caribbean, and African foods on the Gainesville Food Tour, which visits 12 of the city’s best restaurants and watering holes. Love eating out but want to try your hand at cooking Florida’s harvest bounty? 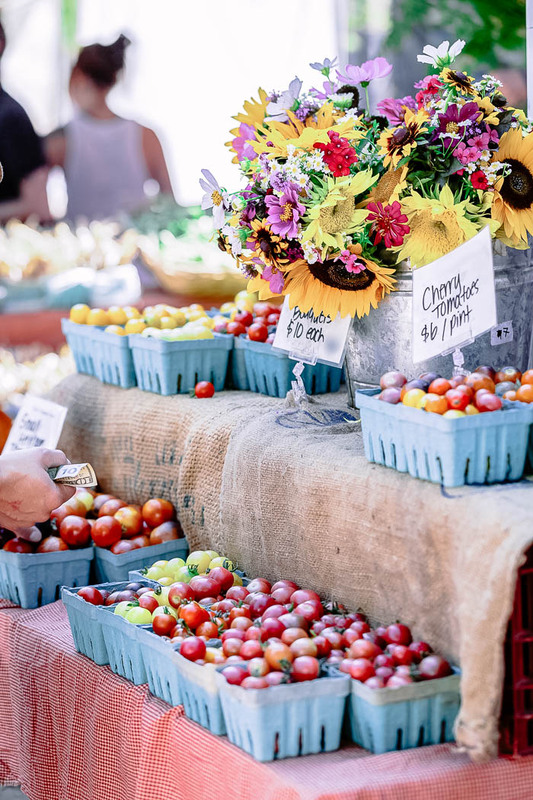 Head to the Alachua County Farmers Market to pick up the season’s freshest produce and meet local farmers. It’s open every Saturday from 8:30 to noon year-round. And don’t miss the annual Local Food Week held in September! Want to taste the world but don’t have the vacation time? Never fear, Civilization Restaurant serves up globally-inspired foods right in Gainesville. Travel the world through taste in one meal by ordering the Salvadorian flatbread as an appetizer, trying the Indian Rava Masala Dosa for an entree, and capping out the meal with a rum coconut twist on the Mexican classic tres leches cake for dessert. Gainesville is known for its comedy shows, and Rockey’s Dueling Piano Bar serves up the laughs with a side of piano tunes. Watch dueling piano players vie for your attention while sipping on housemade cocktails by the city’s best mixologists. We’ll drink to that! You’ve had fish and shrimp tacos, but have you had gator tacos? Test your culinary adventurism with alligator tail tacos at Gainesville’s Swamp Restaurant and tell your friends you tasted gator in Gainesville. How to get there: Fly into the Jacksonville International Airport and Gainesville is a 1.5-hour drive southwest. Where to stay: Gainesville boasts an array of hotels, motels, and bed and breakfasts across all price ranges. How to get around: Downtown Gainesville is walkable, but to visit all that the city has to offer, renting a car is recommended. As you can see, Gainesville, Florida, is full of fun foodie-themed activities and delicious eats. Take a tour through the American South? Check our our southern foodie travel series for things to do in Marietta, Valdosta, and Duluth, Georgia! Give Navarre, Fl a try! I’m biased from growing up there, but it is tiny, quiet, and beautiful! I definitely will! There are so many areas of Florida yet to be explored. Thanks for stopping by!